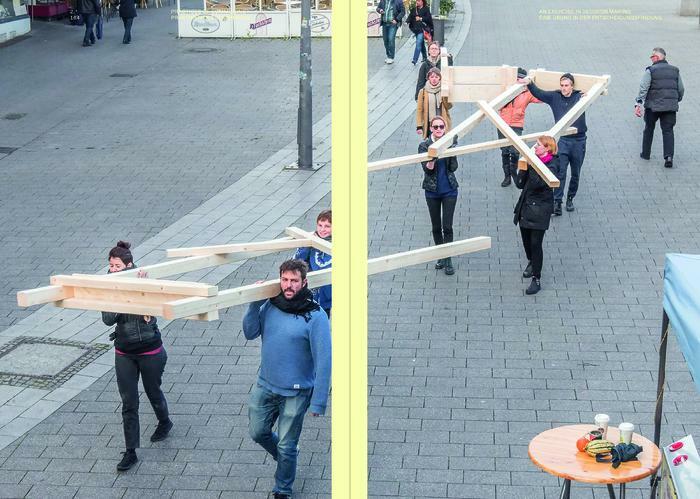 Both a learning platform and a pedagogical experiment, Urban School Ruhr is built upon the foundational belief that experts and amateurs can, together, build a space of critical exchange and knowledge transfer. USR prioritises exchange and dialogue that is not necessarily attached to specific outcomes, results or interventions in built reality, instead understanding conversation as the first step to co-producing cities. Explorations in Urban Practice, the first edition in the Urban School Ruhr Series, draws from and reflects upon USR’s experiences to date whilst also looking to the future of urban practice in contemporary cities. The book presents the reader with key current questions in the field: how can we learn city making? How should we understand the political concept of commoning for this purpose? And how can we discuss intervention as a strategy for enacting urban change? With contributions from: Juan Chacón, Dirk Baecker, Merve Bedir, Pablo Calderón Salazar, Bianca Elzenbaumer and Fabio Franz, Benjamin Foerster-Baldenius, Silke Helfrich, George Kafka, Valentina Karga, Gilly Karjevsky, Hannes Langguth, Laura Lovatel, Torange Khonsari and Andreas Lang, Marjetica Potrč, Anna Giulia della Puppa, Julia Udall, Sam Vardy, Sabine Zahn. Shortlisted for the Cornish Family Prize for Art and Design Publishing at the National Gallery of Victoria, Melbourne. 1.1 | How Do We Know? Who Knows? Urban School Ruhr is a complex educational programme of the Open Raumlabor University (ORU) developed in cooperation with Urbane Künste Ruhr. The Open Raumlabor University is a fictional institution offering workshops, excursions and open discussions as educational formats. Founded in 2015, it builds upon a long history of learning related formats devised by raumlaborberlin, at the same time offering a new framing for the many participatory and exchange oriented formats of the work. The ORU is part of a wider move to shift from project to practice and USR exists as a complex educational programme within it. Katja Aßmann is an architect and curator. She has been artistic director of Urbane Künste Ruhr since the beginning of 2012 and since 2016 director of ZKR, Centre for Art and Public Space Berlin. Previously, she worked as programme director in the areas of visual arts and architecture for the European Cultural Capital RUHR.2010 and as managing director of the state initiative StadtBauKultur NRW. 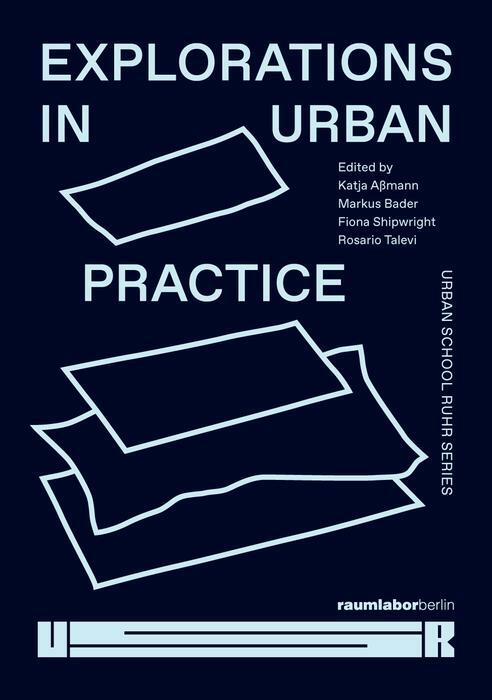 Katja is co-editor of Urban School Ruhr Series: Explorations in Urban Practice. Markus Bader is an architect, artist, educator at raumlaborberlin, University of the Arts Berlin, and the Open Raumlabor University, Markus is initiator of Urban School Ruhr. He forged Urban School as an artistic environment in the raumlabor legacy to focus on the conversations that take place before intervention. Reflecting this mindset, the formats of action of USR each received a hybrid naming: the on-site workshop, the Assembly Seminar and the AS/IF Installation. 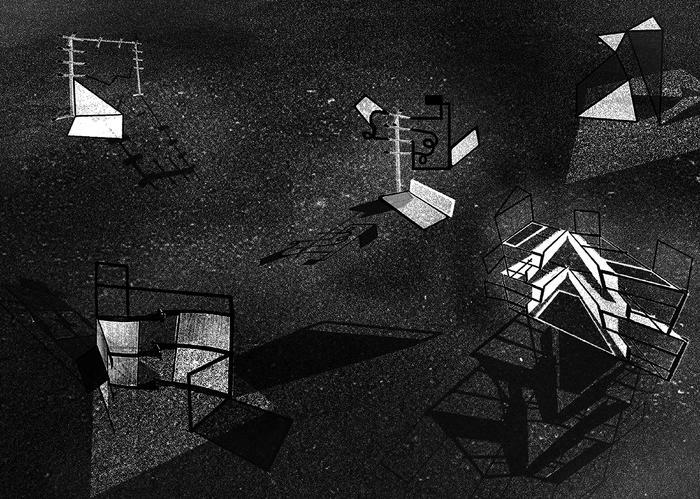 Rosario Talevi is an architect from Buenos Aires, Argentina, currently based in Berlin. Through her work on spatial, editorial and curatorial projects, she develops possibilities for collective involvement, emancipatory learning and social interaction as they relate to contemporary architecture and urbanism discourse. 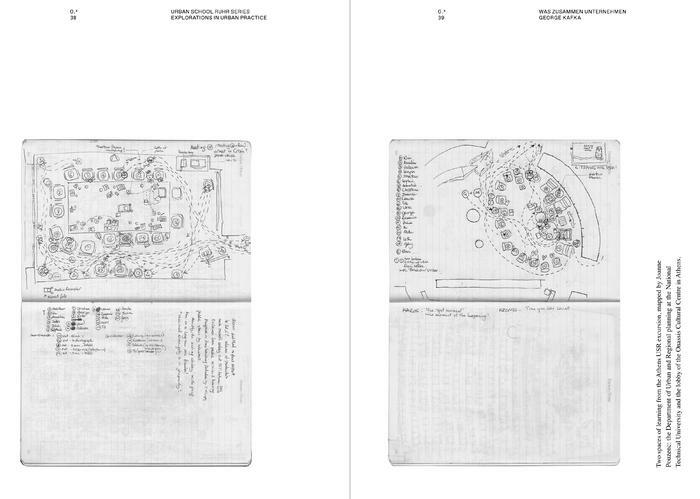 Rosario acted as USR’s curator and is editor of Urban School Ruhr Series: Explorations in Urban Practice. dpr-barcelona is an architectural research practice based in Barcelona, dealing with three main lines: publishing, criticism and curating. Their work explore how architecture as discipline reacts in the intersection with politics, technology, economy and social issues. 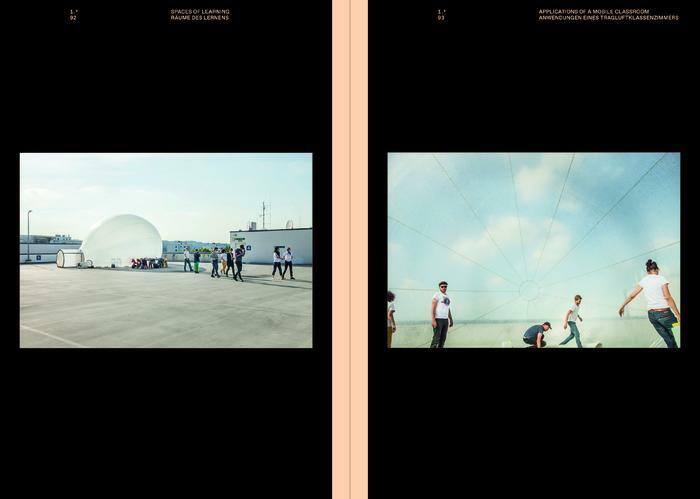 Their publications, both digital and printed, transcend the boundaries of conventional publications, approaching to those which are probably the titles of architecture in the future, exploring the limits between printed matters and new media, transforming traditional publishing practice [as we know it] into a live exchange of knowledge. Their [net]work is a real hub linking several publications and actors on architecture and theory. dpr-barcelona is directed by Ethel Baraona Pohl, critic, writer and curator / Critical observer of the real world and César Reyes Nájera PhD on Bio-climatic construction systems and materials.